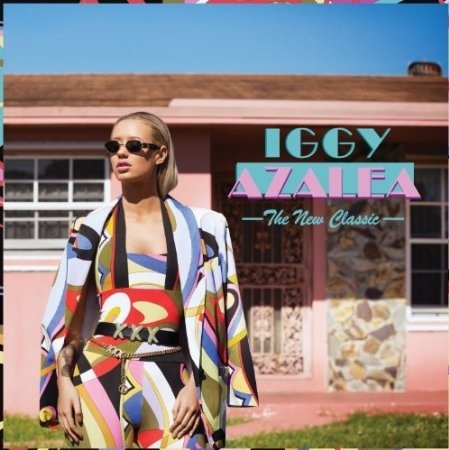 You need look no further if you seek a twerk-worthy summer soundtrack, for Iggy Azalea’s debut album ‘The New Classic’ works and twerks its way into UK record stores come Monday. If you have a read of my TMF Iggy Azalea review, you’ll see I don’t totally agree with that cocky title but there is definitely a lot to like about the blonde babe rapper – and a chunk of good songs to bounce your booty to all summer long. Of course, new single ‘Fancy’ (featuring Charlie XCX, she who lent her pop nous to last year’s Icona Pop smash ‘I Love It’) is the highlight of the album and you’ll have likely seen the totes amaze video already. If you haven’t, check out Iggy’s pop at ’90s classic ‘Clueless’ below – it’s note perfect and sure to raise a smile on any total Betty who grew up with Valley Girl Cher. Doesn’t hurt that it’s a choon, either!